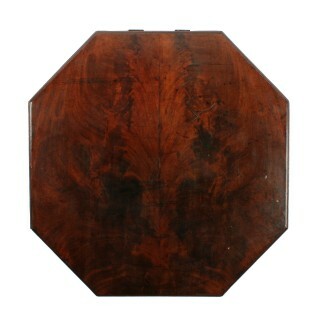 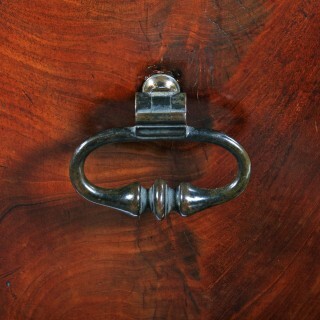 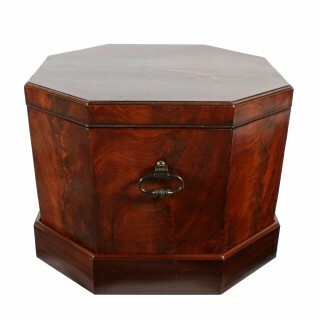 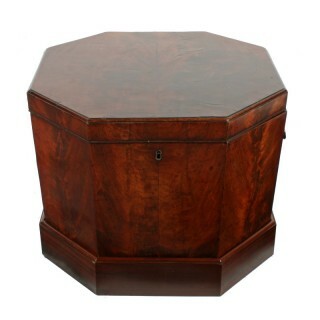 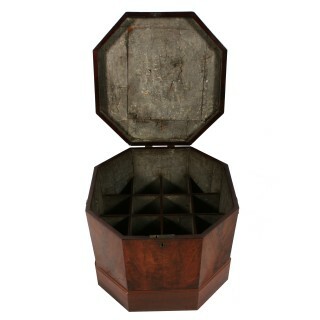 A mid 18th century early George III octagonal mahogany cellaret. 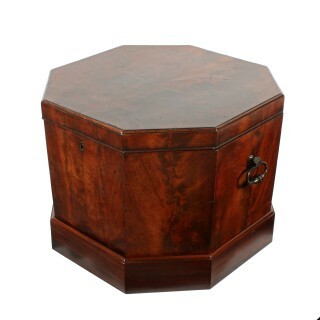 The cellaret is veneered in flamed mahogany, has a pair of original bronze carrying handles and stands on a later plinth base. 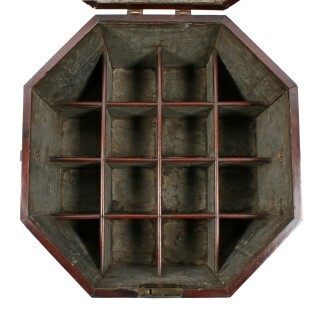 The interior has the original mahogany bottle divisions, 12 in all, and its original lead lining that does show wear from use. 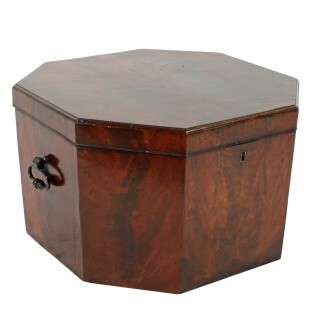 The cellaret lifts off the plinth which has been later made out of 18th century mahogany.